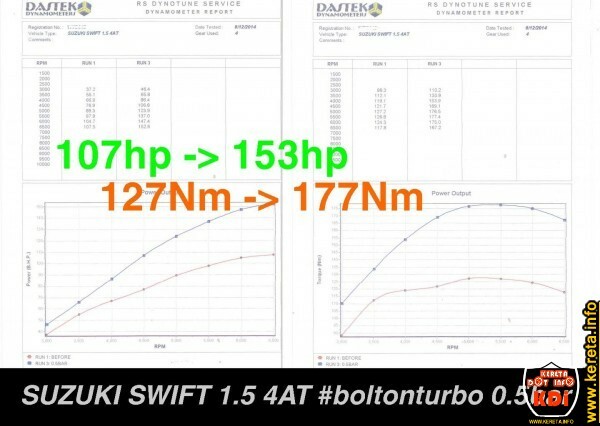 New Suzuki Swift 1.4 owners may be inspired by this dyno chart figure. The old version Swift 1.5 auto 4 speed managed to get 153 horsepower hp and 177 Nm og torque by Bolt On Turbo with only 0.5 bar setting. A good power and torque curve there. The cost for Bolt on Turbocharging is around RM10K with engine management, exhaust system, turbo unit, intercooler unit, piping and blow off.